The Arctic and Antarctic are bellwethers of our planet’s health, and they are undergoing rapid and dramatic change due to globalization, climate change and other human activities. In pursuit of a sustainable future for these regions, the University of Washington is capitalizing on our incredible expertise by investing in research, education and outreach to help us further understand and address the changes we are currently witnessing. Our planet’s high latitude environments—the Arctic and the Antarctic—are experiencing rapid, multifaceted and complex changes. The disappearance of ice is one aspect of change that drives many others, affecting critical social, economic, political and environmental systems. The Polar Regions are brimming with natural resources and contain vast repositories of historical data. They are home to nearly 4 million people and play a role in the national security of many countries. Equally important, they are visually breathtaking and have captured imaginations and inspired pioneers from its first people to modern-day scientists. Their sheer distance from the major populations centers of Earth’s more temperate and tropical latitudes can put these places out of sight and out of mind, yet their health—from social to environmental—has deep implications not only for their own region, but for the entire globe. The University of Washington has built a leadership position in polar research over the past 40 years and already has unparalleled programs in the natural science, social science and policy of the polar regions. In an effort to better understand the changing systems of our planet’s high latitudes, the College of the Environment and other a number of UW units are investing in current and expanded polar research, educational resources to develop future leaders in science and policy and outreach activities that bring the story of the poles to our doorsteps. New investments in faculty and research are being made, accelerating research and continuing to advance our leadership in polar studies. Emerging collaborations across disciplines—natural sciences, social sciences, humanities, arts, policy and more—are building needed knowledge about the intersections of these complex areas. A new distinguished postdoctoral program is being launched, supported by the Quaternary Research Center, the Applied Physics Laboratory and the College of the Environment, providing resources for the best and brightest early career scholars. A new investment to the Jackson School of International Studies from the Andrew Mellon Foundation, will invigorate social sciences and policy studies in the Arctic. A new Fulbright fellowship program has been established, bringing distinguished visitors from Canada to the UW campus for an extended period of time. 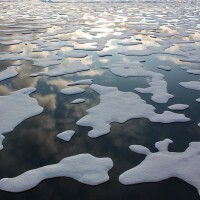 A new Arctic Studies Minor, coordinated by the Jackson School for International Studies and the School of Oceanography, provides undergraduates with opportunities to gain skills relevant to addressing major science and policy issues connected to the Arctic. 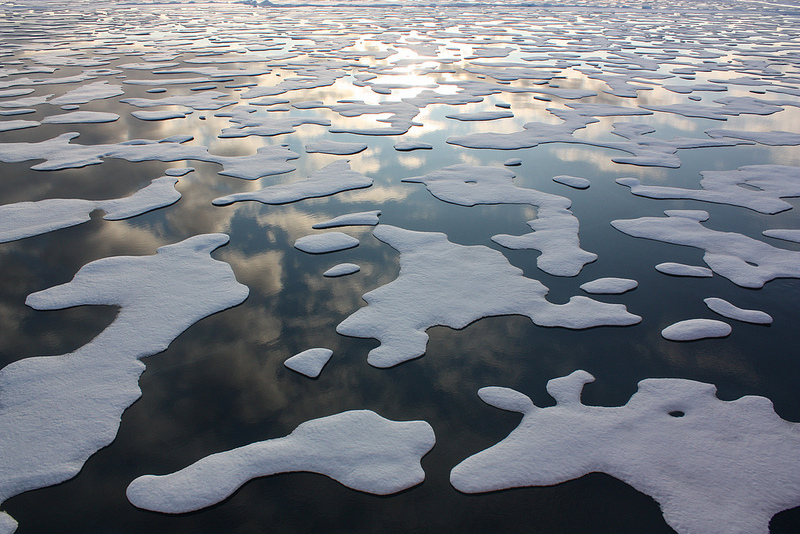 UW offers numerous graduate level classes focused on or highly relevant to the Polar Regions, including a new seminar—offered jointly by faculty from Anthropology, Canadian Studies and Oceanography—that introduces students to interdisciplinary, policy-relevant themes with faculty and students from diverse fields of study. Students, faculty, staff and the public have the opportunity each year to learn from a visiting scholar from Canada under The Canada Fulbright Visiting Chair in Arctic Studies program. The Chair brings scholars, scientists, practitioners and leaders involved in Arctic affairs to the University of Washington to build new synergies among those working in the circumpolar North and to reinforce relations between UW and Canadian scholars. The Future of Ice Initiative is possible because of strong partnerships between the College of the Environment, College of Arts & Sciences, Canadian Studies Center at the Henry M. Jackson School of International Studies, Polar Science Center at the Applied Physics Laboratory, Quaternary Research Center, Program on Climate Change and more. A number of private foundations, artists, independent scholars and others have supported the Future of Ice Initiative, with the goal of providing opportunities to extend academic work beyond the UW, and work collaboratively with people and institutions doing real-world work in the polar regions. Learn more on the Future of Ice website.